Principle: The universal principle (Jurisdiction). It recognizes that a sovereign can adopt criminal laws that apply to the person who has committed any crime of universal nature (Jus Cogence, War Crime, Mass Killing etc.) Anywhere in the world when the conduct is recognized by nations as being of universal concern. 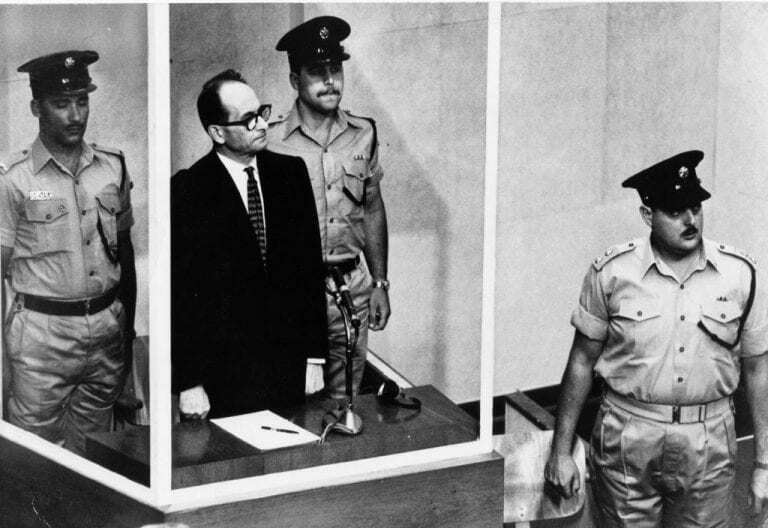 Fact: Adolf Eichmann, was an Austrian by birth who worked as the Head of Section for Jewish Affairs charged of the Final Solution to the Jewish Question. In this capacity, he killed more than 4200000 Jewish people and the transfer of money from evacuated Jews to the State and was responsible for the administration of the Torture camps. Later, he was captured by Israeli Security Forces in Argentina, where he reached after traveling many European country then having a fake identity of Red Cross as being Ricardo Klement. After that ISF handed over to the District Court of Jerusalem to stand trial for war crimes, crimes against humanity and crimes against the Jewish people. Issue: whether Israel had the authority to put him in the trial or not? Decision: He was convicted of all 15 counts and sentenced to death. Reasoning: His crimes were crimes against humanity, he violated the principal of jus cogence so every country has the right to try that type of crime.